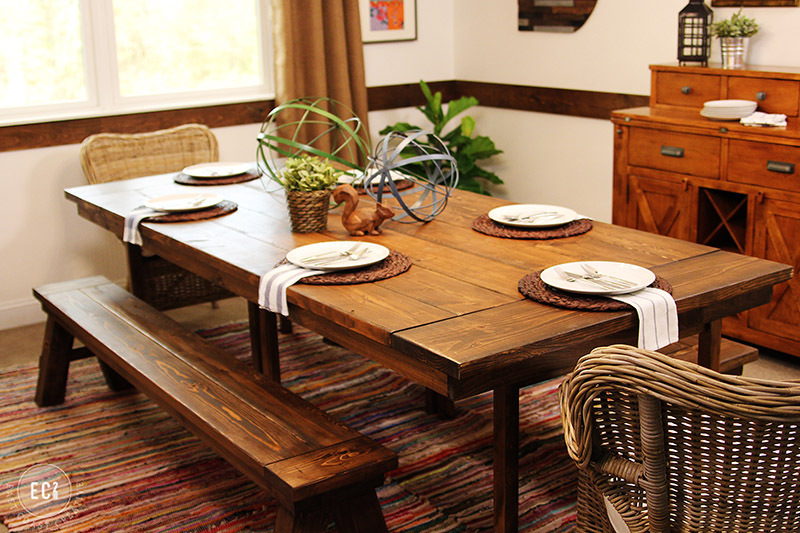 Farmhouse and rustic furniture doesn’t have to be expensive, or even difficult to pull off. We’ll prove it. We dug up some farmhouse hacks (big and small projects) that just about anyone can pull off (believe me, if I can do it so can you), and mimic their much more expensive counterparts. 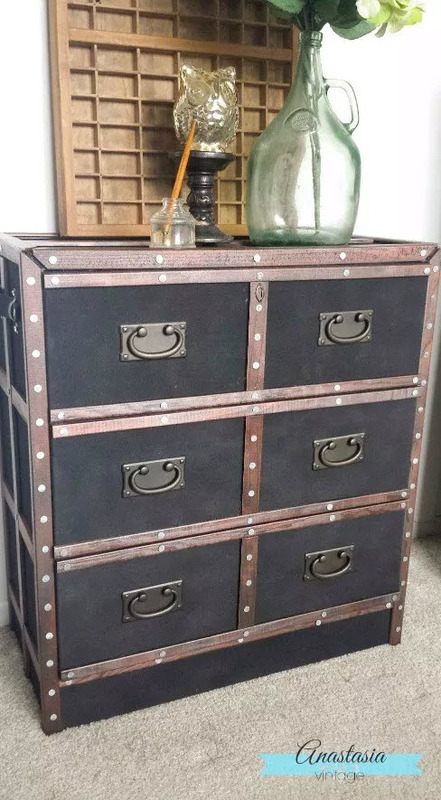 There’s a pretty common theme here, which is finding something at IKEA, and using a few tricks to make it look more aged or industrial. But I’m not complaining, they look great! Oliver and Rust came up with a simple yet effective IKEA hack to give you some instant rustic charm, not to mention some ideal storage space. 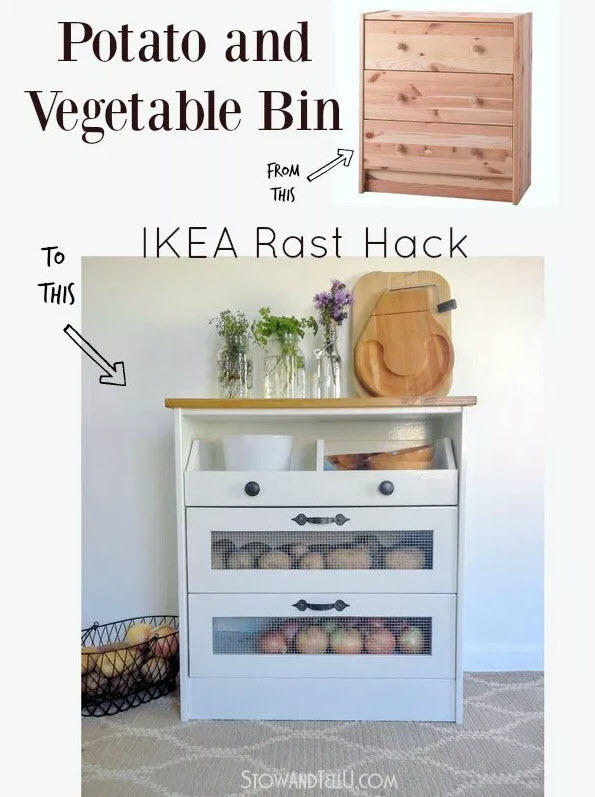 A potato and vegetable bin for your kitchen already has some strong farmhouse vibes, but Stow and Tell U take it to the next level with this cute and charming bin that you can make from a normal, everyday IKEA dresser. Build your own rustic shelves with about $13 worth of stuff from Home Depot, or just use the shelve corners and use them on existing shelves. Check out LollyJane’s blog so you can try it out for yourself. 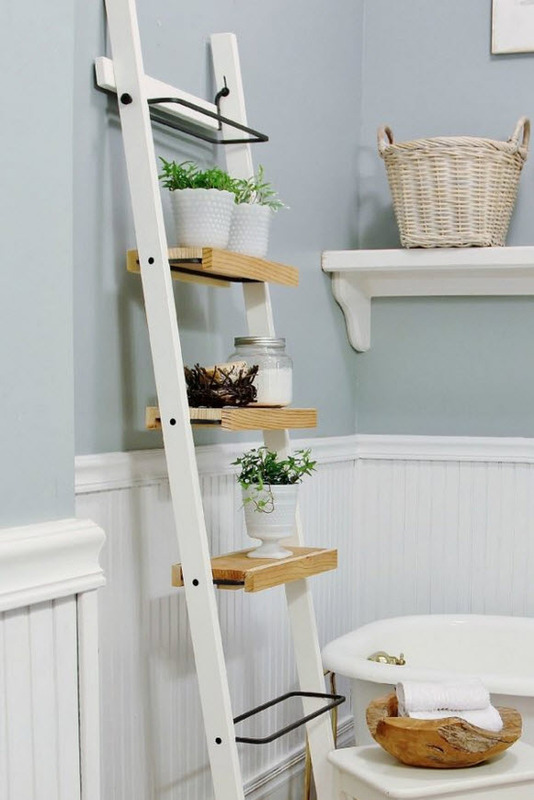 Believe it or not, this shelf is actually a towel holder that’s been cleverly converted by the genius at Thistle Wood Farms, and it only took 30 minutes! You may be noticing a trend already, most of these hacks are IKEA based, but that’s because it’s so cheap and accessible (and easy!). 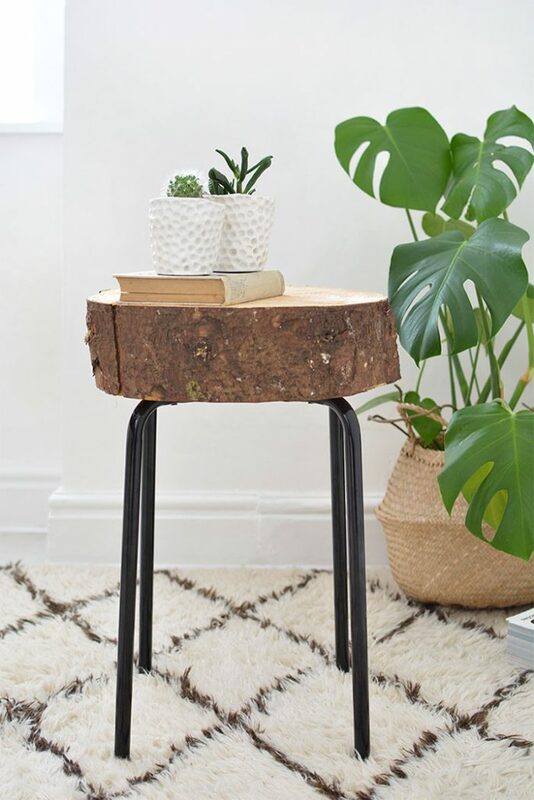 Speaking of easy, Burkatron turned a boring stool into a wood side table. Although the hard part might be finding the wood. Oh man I just love these, and it’s soo easy to make. 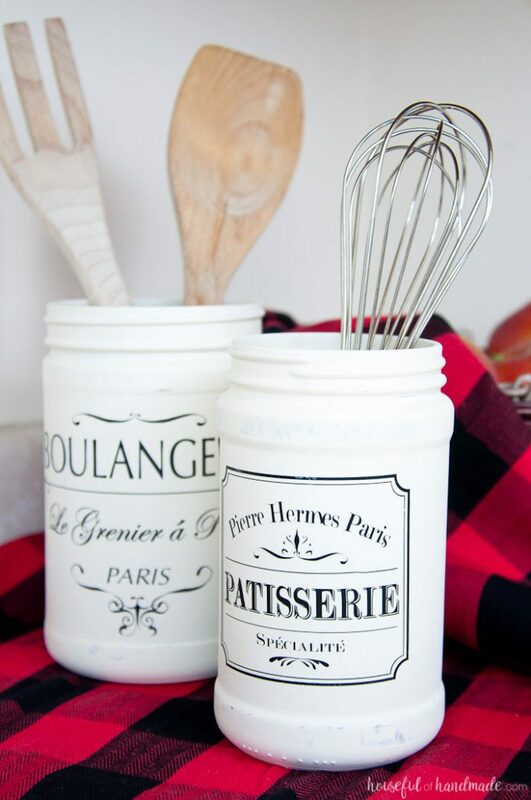 These are just your standard peanut butter jars, spray painted with a chalky finish, and then designed with heat transfer vinyl. You’ll need a little bit of technical knowledge to pull off the vinyl print, but Houseful of Handmade has got your covered. 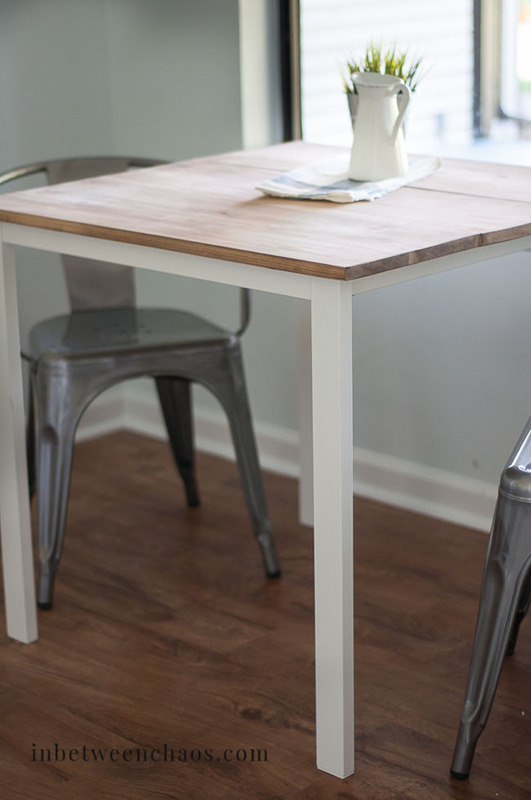 There’s beauty in simplicity (quite literally), take a boring table and screw some planks to create a new tabletop (and apply some stain), and BAM! You got a totally unique and awesome farmhouse table for under $30. 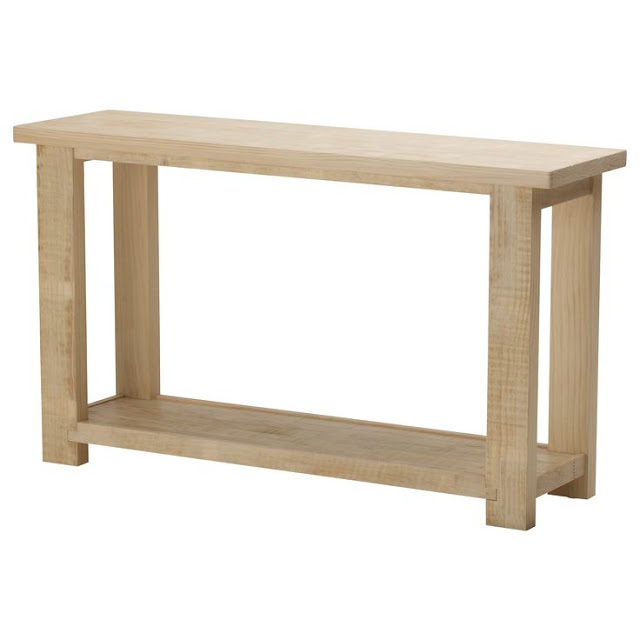 Continuing with our table theme, would you believe this is an IKEA table? Well, it’s actually two tables, and similar to the previous listing, there’s planks drilled to the top and stained to finish. This one requires a little more sweat (and tools) but it’s totally worth it, go check out East Coast Creative to make one for yourself. Who says storage can’t be beautiful? 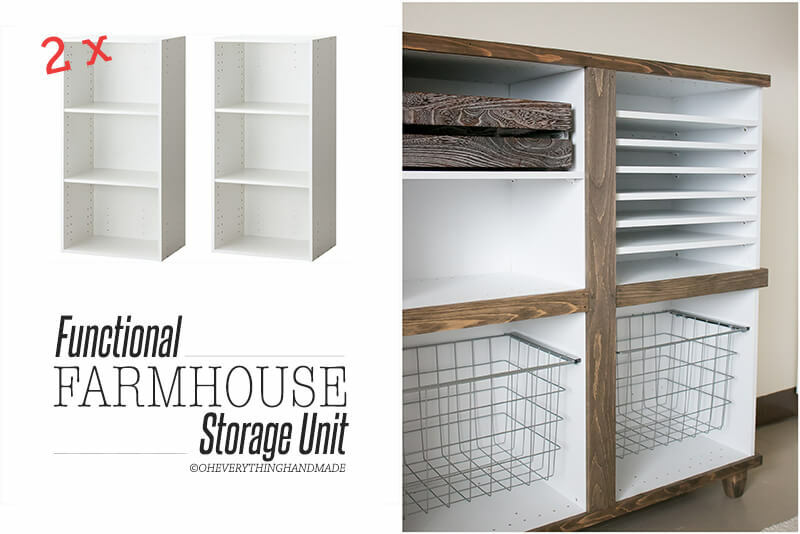 Here’s a super easy and functional unit to organize your life and look fabulous while doing it. 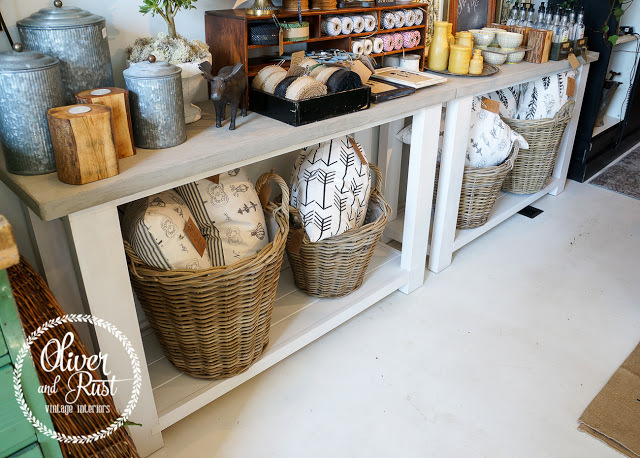 Oh Everything Handmade goes over all the details to upgrade your farmhouse life. This is next level. You’ll need to channel your inner woodworker and be up for a bit of a furniture challenge, but I mean, look at how gorgeous this is. Sawdust2Stiches nailed it (like my pun? ), and you should definitely check out all her other projects while you’re there. I couldn’t resist adding another Sawdust2Stiches project, they’re just so amazing. This one makes use of IKEA furniture as your foundation, so it’s a little easier to get started. 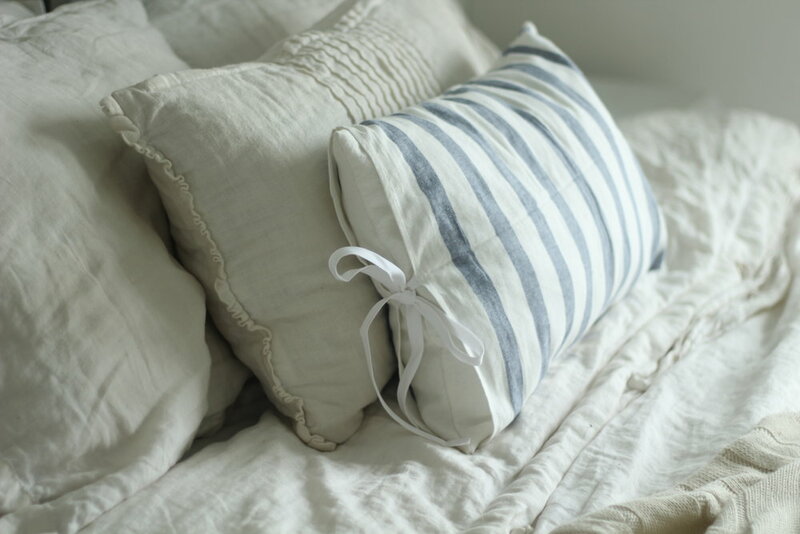 Okay here’s a rustic hack that’s a little easier to handle (and certainly more comfy). That’s right, it’s farmhouse pillows. They’re cleverly made by Farmhouse On Boone from tea towels. It’s pretty amazing how far a little creative staining can go. 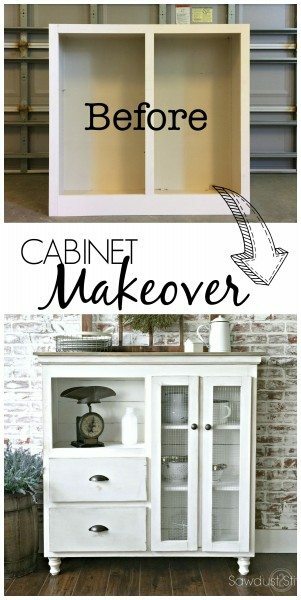 In this case there is two different stains to create a color contrast, and applied with a cotton rag, this turns a plain piece of furniture into a rustic sideboard. Once again LollyJane has all the best ideas, her blog is filled with awesome projects like this. This is quite the project, but if you’ve been dreaming of a proper kitchen island without breaking the bank then check this out. 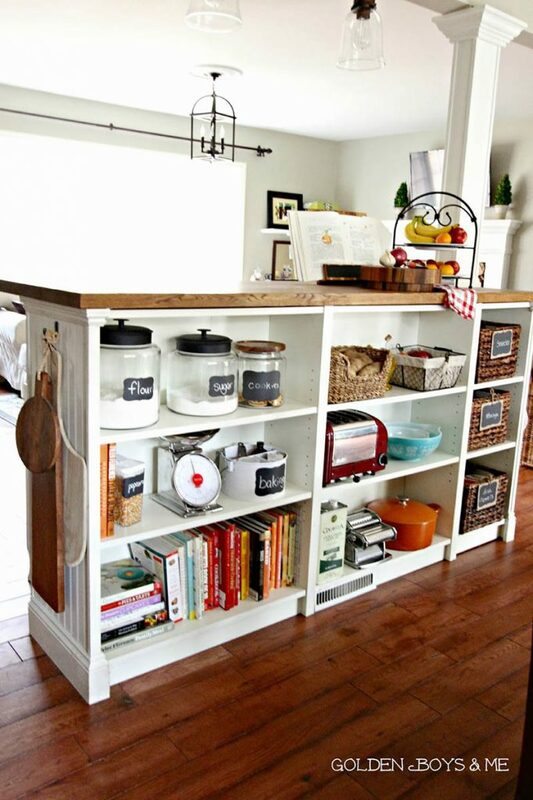 It’s made from two bookshelves and a butcher block, and all for under $600. That might seem expensive, but compared to the normal expense of a custom kitchen island, that’s pretty good! Golden Boys and Me has more details if you’re curious how to build your own. Got a favorite quote? Maybe you need a reminder to help inspire your soul every morning, and it needs a little rustic flair to beautify your home at the same time. 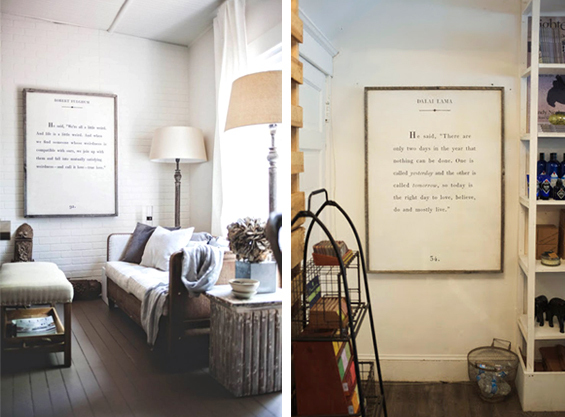 It’s easy, print off your favorite quote and come up with a charming and worn frame. Take a look at ThePaintedHive to learn how to inspire your life on a daily basis with their beautiful quote art. 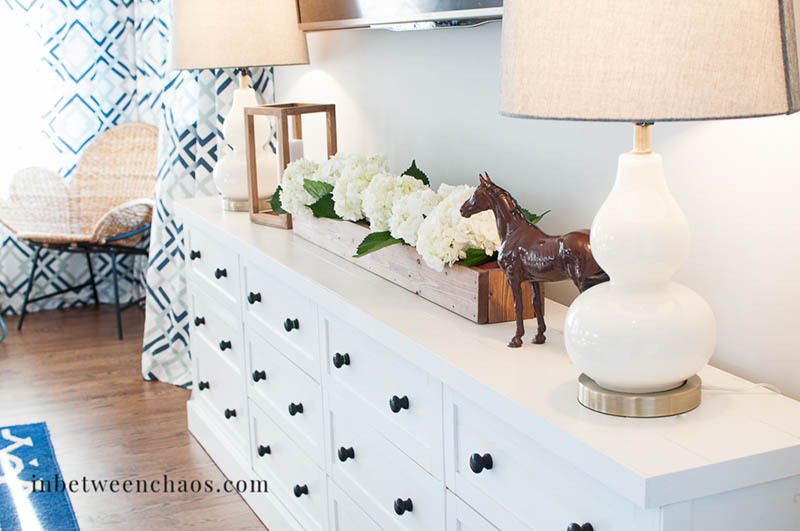 Most Media Consoles (you know, the shelf that typically sits under your TV) are usually black and shiny, but there isn’t much out there that’s bright, beautiful, and charming. And if there is, it’s usually insanely overpriced. In Between Chaos has figured out the way around this. It’s actually 4 IKEA RAST dressers, framed, painted, and with some extra little features. 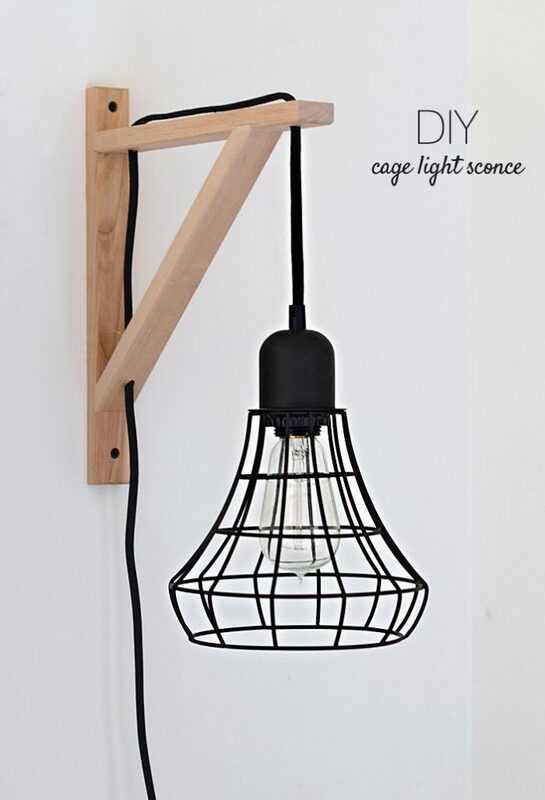 With all these huge DIY projects, it’s nice to have something a little more simple, so how about this bright idea. 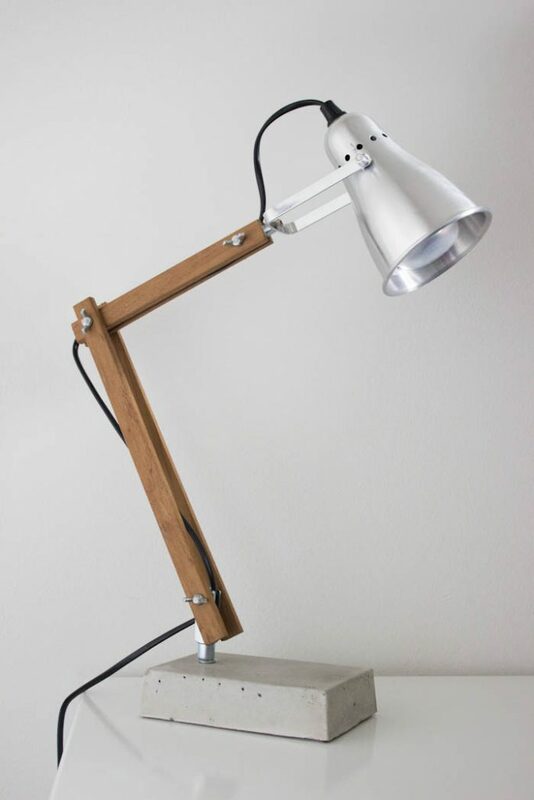 Check out how to make an industrial style desk lamp. Mirrors are useful, but so plain. But get yourself 4 pieces of wood and some stain and suddenly you have useful and charming (it’s a little more involved than I’m making it seem, but you get the idea). 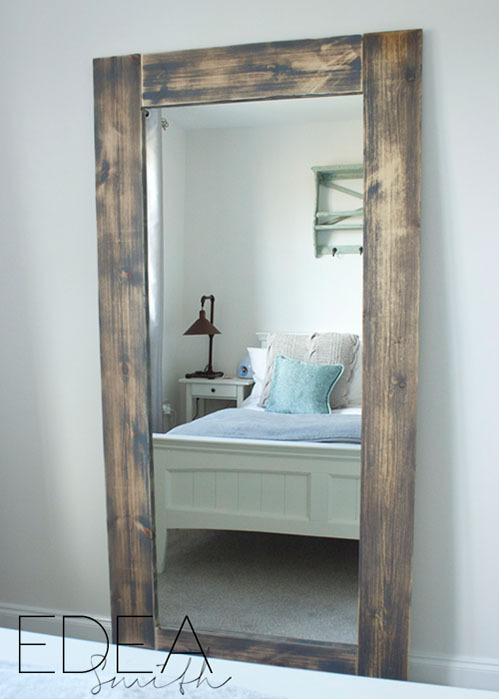 Edea Smith made this simple and awesome mirror and you can to for dirt cheap. 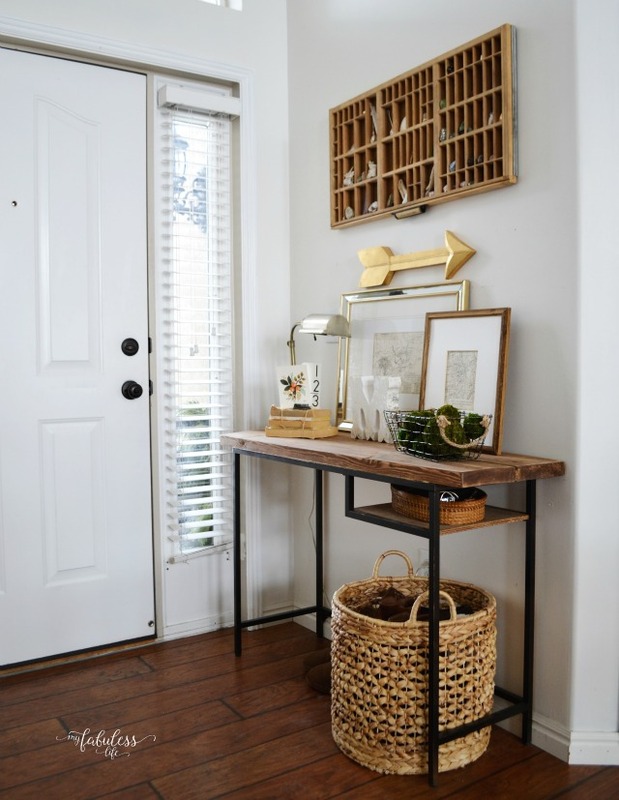 An entryway table (as the name might imply) is the first thing your guests will see when walking in. 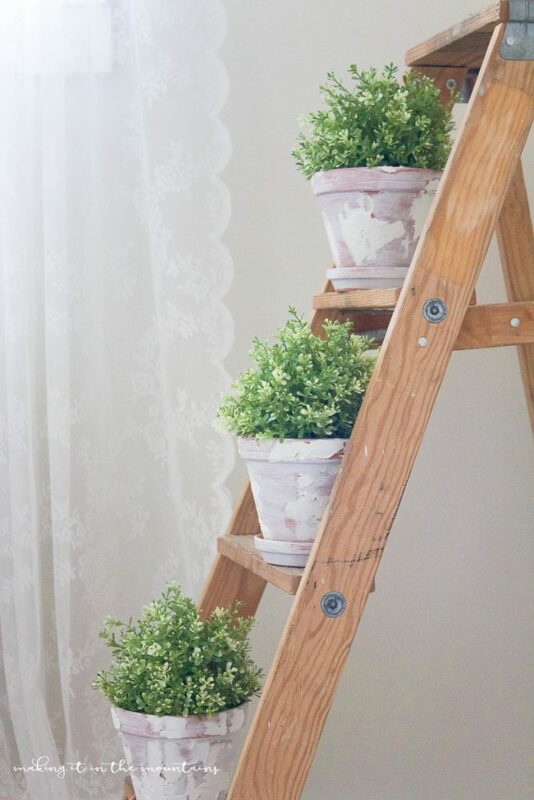 So you can put your best decor step forward and create a beautiful, yet simple, display. It all starts with an IKEA desk and some stain, but I’ll let MyFabulessLife explain the entire building process for you. 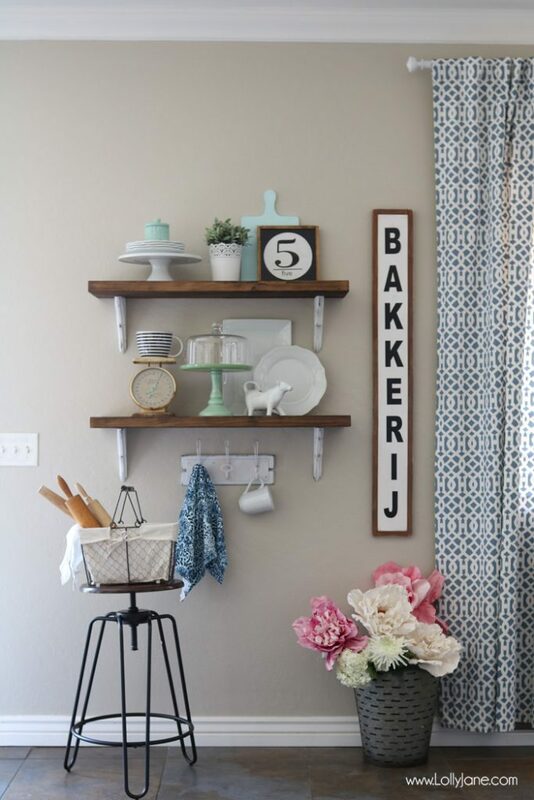 If you’ve been wondering what to do with a blank wall, you can never go wrong with some shelves, and then add a few of your favorite “upcycled” items to show off. Staining is really a magical process that can turn a plain piece of wood into something with a story, and then add some newly “aged” shelve supports to create some contrast. 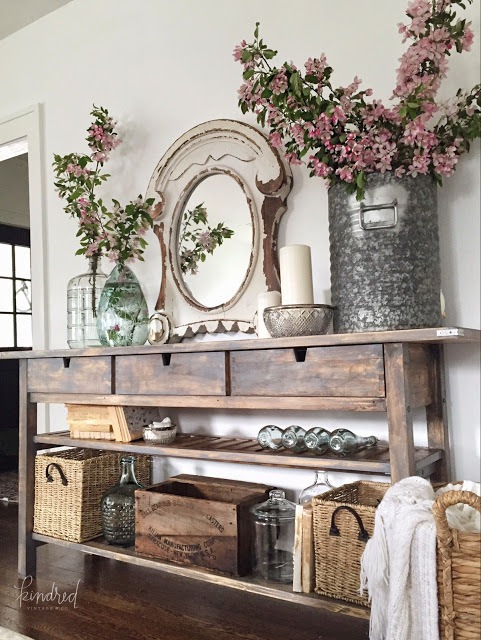 Once again Lolly Jane has struck our hearts with rustic beauty. I really like these simple projects that can add so much charm to a room, and for about $20 you can make this cool industrial light for your bedroom. NallesHouse built one for each side of their bed for a little symmetry and it looks very modern yet rustic. I feel like I just stepped into the world of Harry Potter, and I’m quite alright with that. 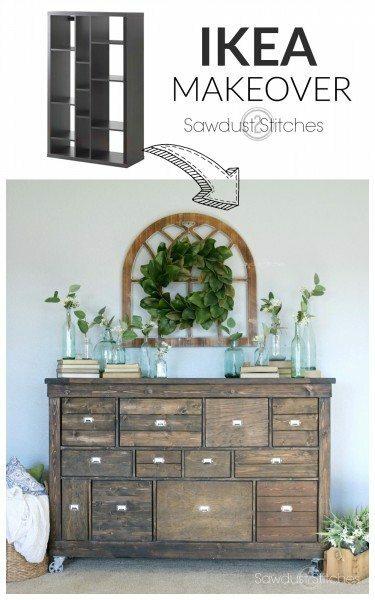 This Pottery Barn inspired dresser is designed around a very plain piece of furniture from IKEA. 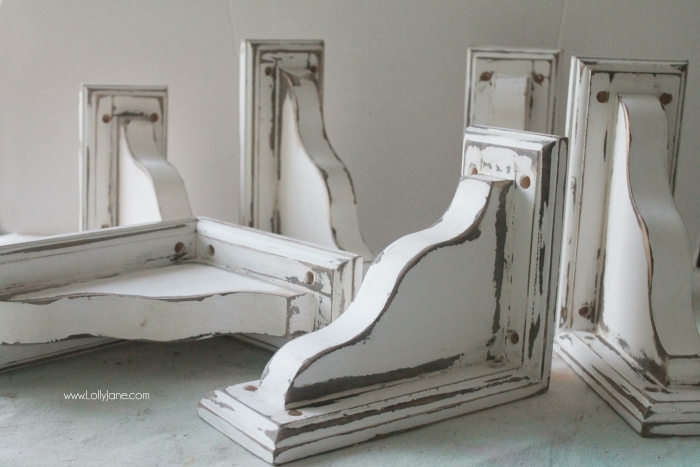 There are a lot of creative ideas that when into this gorgeous piece, so I highly recommend you see the entire building process over at Anastasia Vintage. Bring a little bit of your garden to life with a rustic set of pots. Simply using existing pots and added some muted and textured colors can really bring out the hidden charm, and it’s something you can accomplish in an hour of spare time. Check out LollyJane.com to see just how easy it is. If you’re in the market for something beautiful, budget friendly, and easy to make (who isn’t? 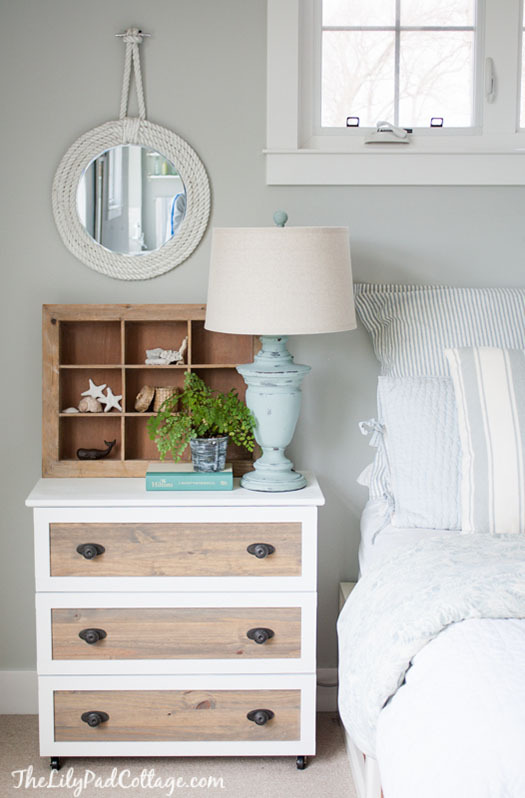 ), then The Lily Pad Cottage has got you covered with a stunning nightstand make (of course) from a plain IKEA piece. I guess we’ll end on a highnote, and from none other than Sawdust2Stiches, only because her creations are something to marvel at.